The power of CRISPR to delete or replace specific genes has quickly made it the go-to gene-editing tool, now in use in several clinical trials. But is this genomic manipulation as specific as people think? In the July 16 Nature Biotechnology, researchers led by Allan Bradley at the Wellcome Sanger Institute, Hinxton, U.K., report that the technology often cuts out large chunks of DNA around the target site, or leads to other changes such as flipping a section of code. These occurrences raise the risk for a pathogenic mutation, the authors noted. “Comprehensive genomic analysis is warranted to identify cells with normal genomes before patient administration,” they wrote. Other researchers found the study valuable. “The authors are to be commended for adding this important information to the literature, and it must be further investigated and considered especially for therapeutic applications of genome editing,” David Schaffer at the University of California, Berkeley, wrote to Alzforum. Samuel Gandy of Icahn School of Medicine at Mount Sinai, New York, noted that the introduction of genetic errors is a well-known problem among CRISPR users. “After CRISPR correction, there must be an exhaustive search for new errors. This is a major limitation, and the No. 1 reason for not rushing into CRISPR correction of human embryos,” Gandy wrote (see Aug 2017 news). CRISPR makes use of the bacterial Cas9 enzyme and a guide RNA to cut DNA at specific locations in the genome. The cell then repairs the DNA by joining the ends back together, often inserting additional nucleotides and usually causing a frameshift that inactivates the gene (see Sept 2014, Oct 2017 news). Previous research from the Wellcome group, and others, had found this technique caused only small insertions or deletions of a few base pairs around the targeted site (Koike-Yusa et al., 2014; Tan et al., 2015; van Overbeek et al., 2016). However, these studies mostly assessed the immediate vicinity of the target, or distant regions of the genome with comparable sequences that might have bound the guide RNAs and been cleaved by Cas9. To get a more comprehensive look at chromosomal changes, first author Michael Kosicki used CRISPR to disrupt a gene on the X chromosome in male mouse embryonic stem cells, then sequenced the DNA up to eight kilobases on either side of the targeted site. He found that about two-thirds of edited cells had small deletions of less than 50 base pairs around the targeted site, as expected. However, another 20 percent of the cells lost larger sections of DNA, more than 250 bp, with some deletions extending up to six kb. In addition, 17 percent of the edited cells contained other DNA changes, such as single nucleotide polymorphisms, inversions, and insertions. Overall, the alterations were larger and more complex than other studies have found, Kosicki said. Many of these changes, including deletions, occurred far from the targeted gene and would have been missed by the short-range PCR often used to analyze the results of CRISPR, the authors noted. In addition, most previous research studied somatic genes with two alleles, so PCR amplifications from an unedited allele could mask deletions in the other. The authors obtained similar results in a human retinal epithelial cell line, suggesting the findings were not species-specific. They also saw comparable DNA changes after targeting a somatic gene in mouse cells. “Though it has been long recognized that unwanted editing could be an issue with CRISPR/Cas9, the extent of this effect, as seen in this paper, is surprising,” Subhojit Roy at the University of Wisconsin, Madison, wrote to Alzforum. He speculated that the findings could be specific to the particular guide RNA used, as different guides have distinct effects. Some researchers have identified ways to tweak guide RNAs to improve editing efficiency (e.g., Hendel et al., 2015). Schaffer noted that for some types of editing, such as repairing or inserting genes, researchers typically make only a single-stranded nick in the DNA, rather than a double-stranded break (see May 2016 news; Dec 2017 news). “Nicks did not appear to be analyzed in this study, but they would likely result in less damage,” Schaffer said. However, Bradley noted that a common strategy with nickases is to use two of them to make overlapping cuts, resulting in a double-strand break. “I don’t expect the result when using two nickases to be any different,” he told Alzforum. There are several ongoing clinical trials in the cancer field that use CRISPR, but in every case, researchers edit T cells in vitro, then check the cells for genetic damage before injecting them back into patients. 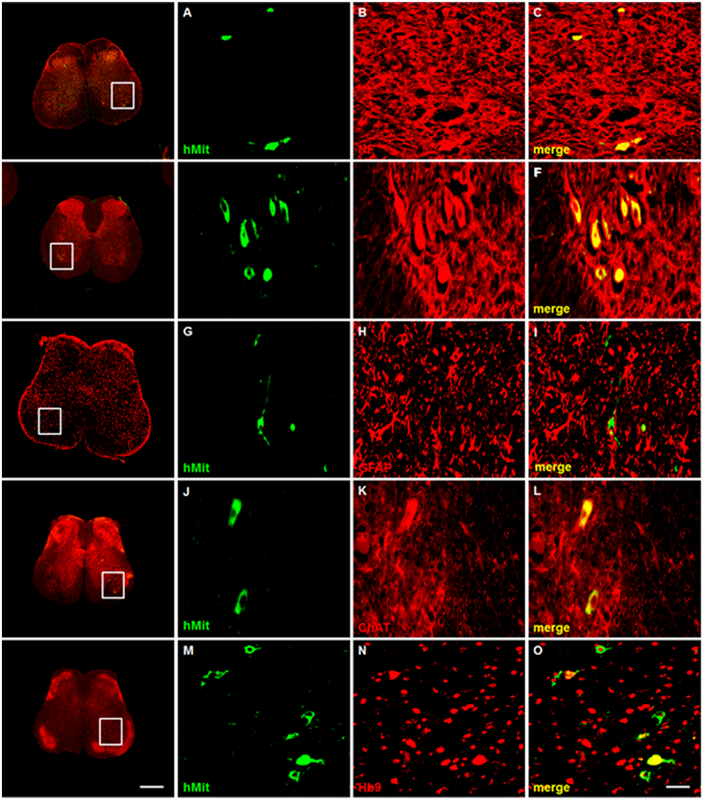 Neurodegenerative disease strategies would be more complicated since they would likely call for editing of brain cells in situ. Schaffer is developing CRISPR-based therapies for amyotrophic lateral sclerosis in this fashion (see Dec 2017 news). Other researchers are exploring CRISPR’s potential to treat autosomal-dominant forms of Alzheimer’s disease by knocking back amyloid precursor protein expression in neurons (György et al., 2018; Sun et al., 2018). Bradley noted that in vivo editing of terminally differentiated cells like neurons might be safer than editing proliferative cell populations, which have the potential to become cancerous. Nonetheless, researchers in the field suggested caution. “We need to have a reasonably good idea of what the rate and extent of unwanted editing would be, before these therapies can be initiated,” Roy wrote to Alzforum. Kosicki M, Tomberg K, Bradley A. Repair of double-strand breaks induced by CRISPR-Cas9 leads to large deletions and complex rearrangements. Nat Biotechnol. 2018 Jul 16; PubMed. Koike-Yusa H, Li Y, Tan EP, Velasco-Herrera Md, Yusa K. Genome-wide recessive genetic screening in mammalian cells with a lentiviral CRISPR-guide RNA library. Nat Biotechnol. 2014 Mar;32(3):267-73. Epub 2013 Dec 23 PubMed. Tan EP, Li Y, Velasco-Herrera Md, Yusa K, Bradley A. Off-target assessment of CRISPR-Cas9 guiding RNAs in human iPS and mouse ES cells. Genesis. 2015 Feb;53(2):225-36. Epub 2014 Dec 10 PubMed. van Overbeek M, Capurso D, Carter MM, Thompson MS, Frias E, Russ C, Reece-Hoyes JS, Nye C, Gradia S, Vidal B, Zheng J, Hoffman GR, Fuller CK, May AP. DNA Repair Profiling Reveals Nonrandom Outcomes at Cas9-Mediated Breaks. Mol Cell. 2016 Aug 18;63(4):633-646. Epub 2016 Aug 4 PubMed. Hendel A, Bak RO, Clark JT, Kennedy AB, Ryan DE, Roy S, Steinfeld I, Lunstad BD, Kaiser RJ, Wilkens AB, Bacchetta R, Tsalenko A, Dellinger D, Bruhn L, Porteus MH. Chemically modified guide RNAs enhance CRISPR-Cas genome editing in human primary cells. Nat Biotechnol. 2015 Sep;33(9):985-989. Epub 2015 Jun 29 PubMed. Dai WJ, Zhu LY, Yan ZY, Xu Y, Wang QL, Lu XJ. 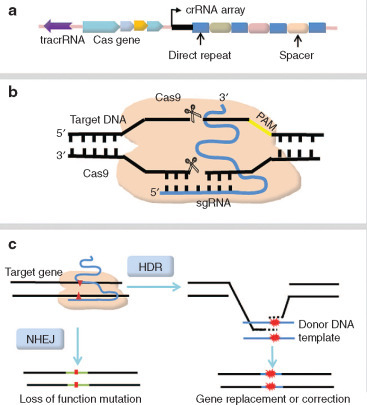 CRISPR-Cas9 for in vivo Gene Therapy: Promise and Hurdles. Mol Ther Nucleic Acids. 2016;5:e349. PubMed. CRISPR – In The Nick of Time For ALS?